Today, fast-developing technology and various gadgets have replaced many other things in our lives; such changes have had a huge impact on the modern generation and the process of their upbringing and education. Many of us will agree that nowadays not only school children and teens, but also many young and adult people unquestioningly believe and take for granted everything shown or said on the Internet or TV. There are many disputes about the influence of this factor on our lives. But is it really that bad? If we look at this matter from another perspective, it will become clear that even watching famous movies can be quite educational, but only if you approach the selection of the movie with responsibility and give preference to some inspirational or motivational movies. Why is watching films important? Previously, there were many different opinions on whether films help or harm people. Yet, today the majority of scientists, professors, and experts agree that people must watch movies, as they have a positive effect on their lives, help them to get necessary emotions, learn new things, and, after all, films are part of our cultural heritage. And the main issue here is the choice of movies. In this post, we are happy to share with you a list of top five awesome inspirational movies that each of you has to see before turning 18! Each point of our list is unique and unforgettable in its own way, but what unites them all is the fact that they are meant to teach, inspire and motivate youth; in these films, you will see inspiring examples of people who reached their goals because they never gave up. It is very touching, inspiring, sincere and full of emotions, with the famous Will Smith in the main role. This story touches the most important moral principles of mutual aid and teaches us to support and help each other. This movie will inspire youth to be kind and supportive. It teaches us one of the most important lessons – good begets good! Deservedly, this film is present in almost every independent top list; this masterpiece is exactly what every person needs to watch as it will give you tons of positive emotions, inspiration and motivation. Brad Pitt plays the role of the manager of a baseball team. He decides to make a serious step: start recruiting people based not on the subjective assessment of sports experts, but on the statistical results. This causes a wave of negativity and resistance. Nevertheless, the main character does not give up and proves to everyone that his path is correct. This is, without a doubt, a good story, which once again shows what it takes to listen to yourself and resist public opinion. The Secret summarizes some main ideas of the philosophy of new thinking, in particular - the person's ability to force his thoughts to influence the surrounding reality, materialize fears and desires, etc. The idea of this movie is interesting. The best thing about it, is that it actually makes you believe that everything is possible and you can reach all your goals, so it will be a good motivation for students, as well as for adult people. 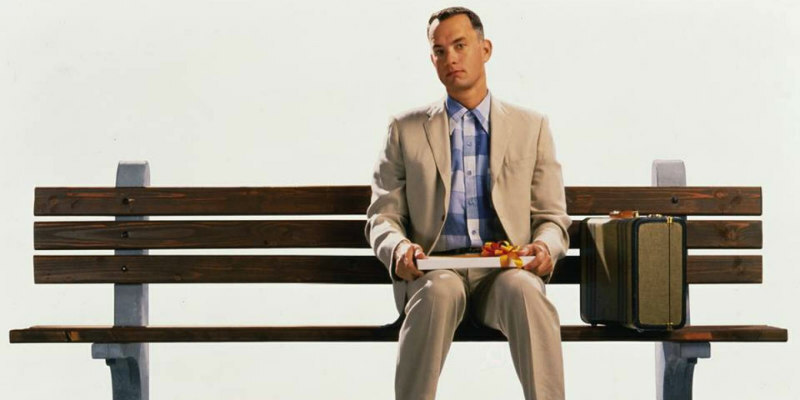 Forrest Gump is a favorite drama of millions of people. This motion picture had made the “American Dream” seem so much closer to each of us. It proves that no matter who you and your parents are, where you were born, or how smart you are – you can become anything you want, and the most important thing is to stay yourself! This movie is often called one of the best inspirational films of the last decade; it really shows that today everything is possible, that each one of us has a chance to become a valuable and important part of the society, build a brilliant career, reach goals and be happy. These are just few of many excellent movies for youth that motivate and inspire. See more options of great motivational films for students to find something that will suit you and enjoy your movie time! And while you are having a good time, entrust your papers to the professional writers from EduBirdy and they will help you to get closer to your dreams!